I’m In Love With Fenway! I am writing today from beautiful and historic Boston. This week I am in Connecticut, holding some evangelist meetings for a small church in Torrington. However, with no meetings yesterday, I drove up to Boston to visit Fenway park and cheer on my Tampa Bay Rays who were playing the Red Sox. I took the Subway from Braintree to Kenmore. 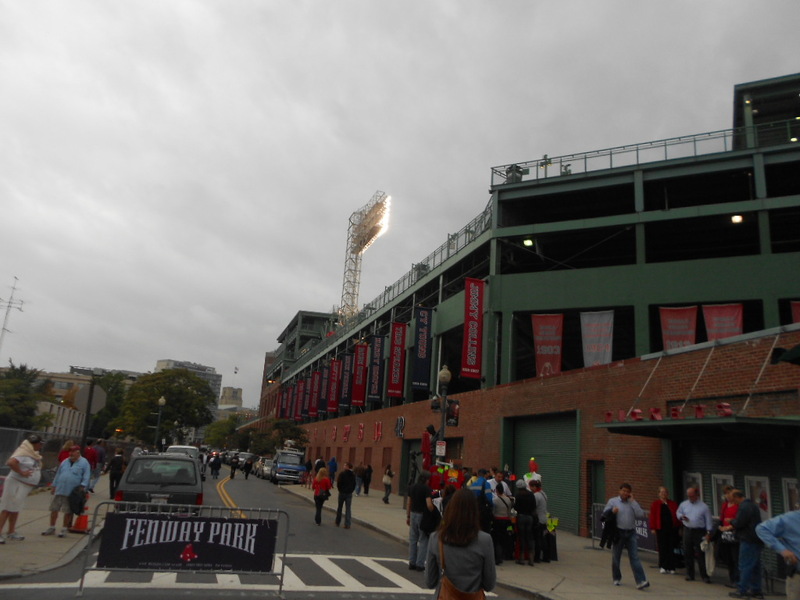 When I went around the corner and saw Fenway, I was actually surprised that my first reaction was not one of awe, like when I saw Wrigley in Chicago. My first reaction was it reminded of me the first minor league ballpark I went to as a small child. The park was not intimidating. It was homey. Having seen it so many times on Television it was like I had already been there, so I thought. Later, I started to realize that I felt like I was at home, because this ballpark was more like a home than some of the newer bigger stadiums. I did not realize, when I bought my ticket weeks earlier, that this would be the 8,000th game played at Fenway. They had a special ceremony honoring Fenway park and some of the best Red Sox players who had ever played there. Carlton Fisk, Carl Yastremski, and many others were there. 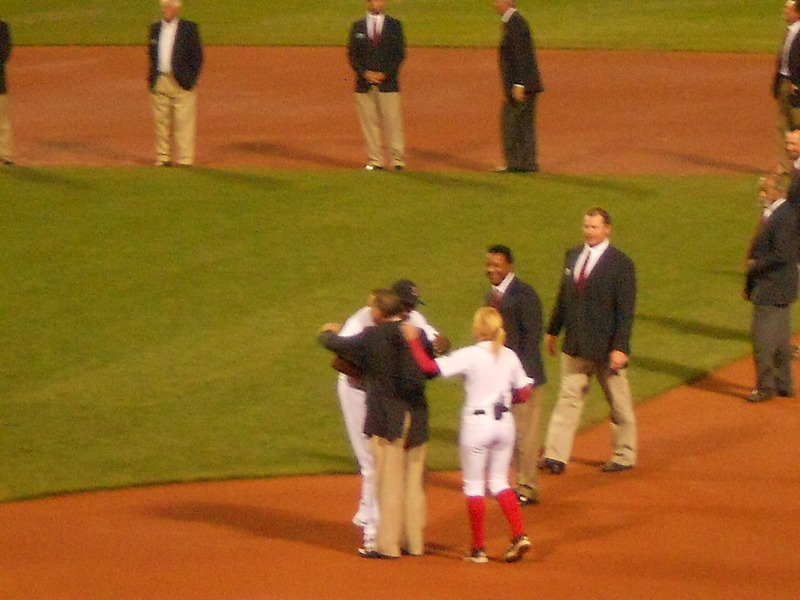 Ortiz was honored as one of the best ever. As they introduced each former star player, and they came walking onto the field, again I was amazed, that instead of appearing as super stars, they seemed more like old friends. Sure I have never been a Red Sox fan, but you can’t follow baseball without being familiar with the Red Sox traditions and stars. Even though I came by myself to a ballpark in a city I had never been to before, I never felt alone. The place is very friendly. Walking across the street from my hotel to a nearby restaurant, I was amazed how the cars all watched out for me and gave me the right of way when they saw I wanted to cross. The people at the hotel helped me find the subway I needed, and the people on the subway were very helpful and friendly. I was kind of confused, no really confused as I had never ridden a subway before, but the other riders were most helpful and friendly. At the game I met more friendly people. A lady from Japan sat near me and asked me all kinds of questions about the Red Sox, assuming I was a Red Sox fan. I did my best to answer all her questions. After all, like I said, you can’t be a baseball fan without knowing about the Red Sox. I pray about everything, big or small. I have been praying about my meetings of course, wanting to win people to Christ. I also told God that it would be real nice if I could see a home run over the famous green monster. Sure enough Ben Francisco hit one for the Rays over the green monster right after Carlos Pena’s blast over the center field wall. 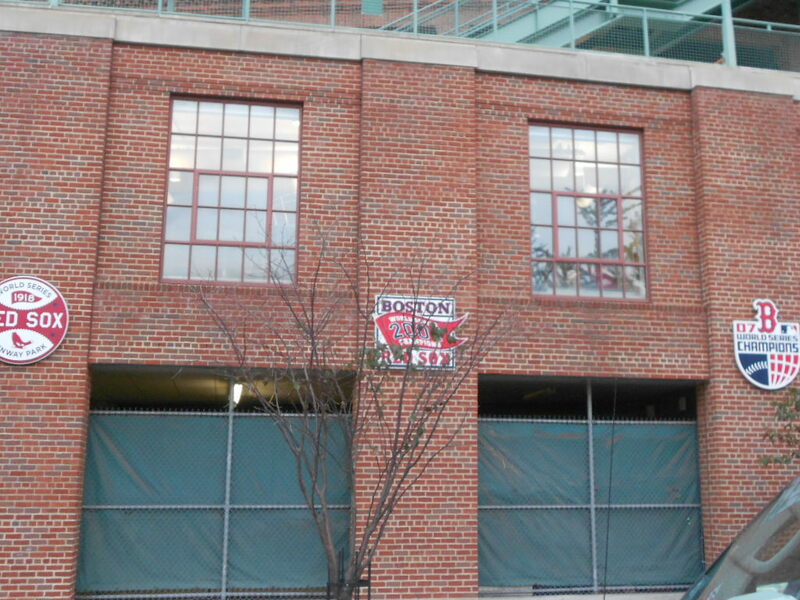 Oh, and that Citgo sign, you always see on TV that looks like it is right behind the green monster? It is actually a lot farther away than it looks. It was a couple blocks away, right across the street from the Subway station. They still have the original gate to the grandstands before they added more seats. 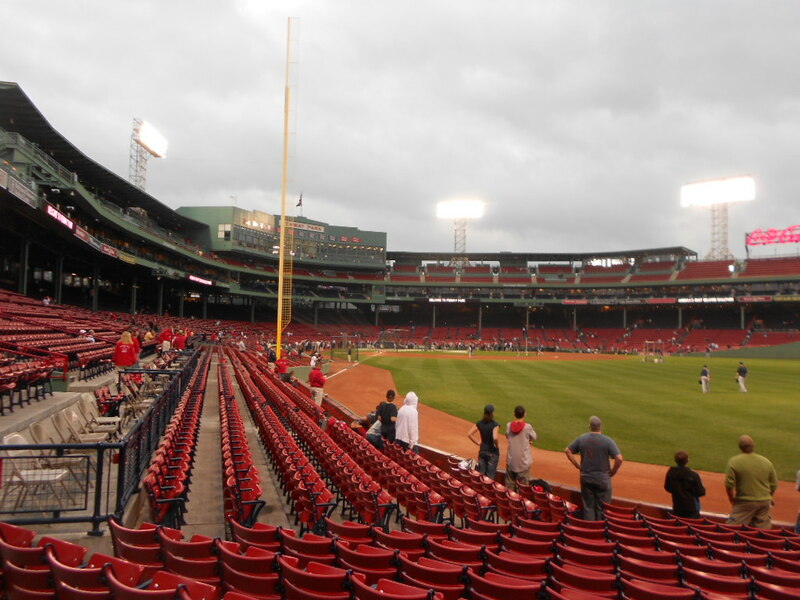 Fenway was built in 1912 and opened the same weekend the Titanic sank. One voyage for the Titanic and it was gone the same weekend it started. 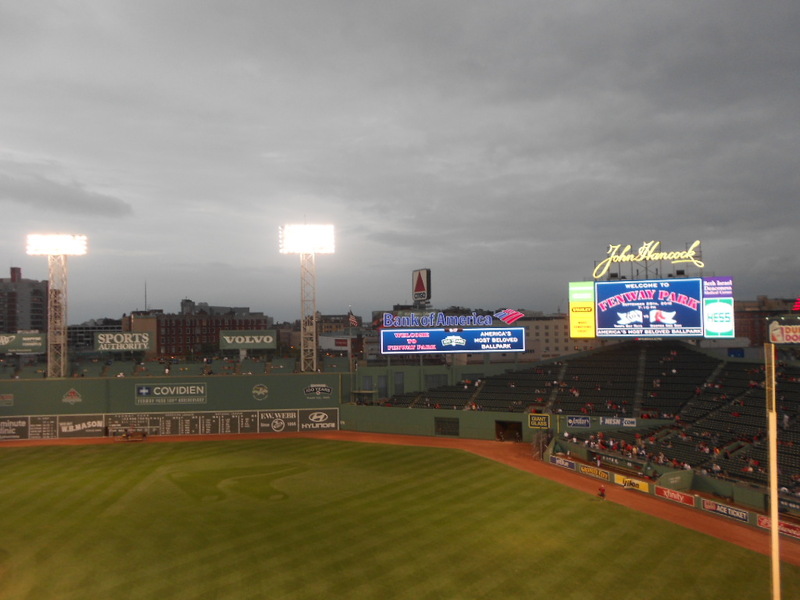 A hundred years and 8,000 games later Fenway is still going strong. 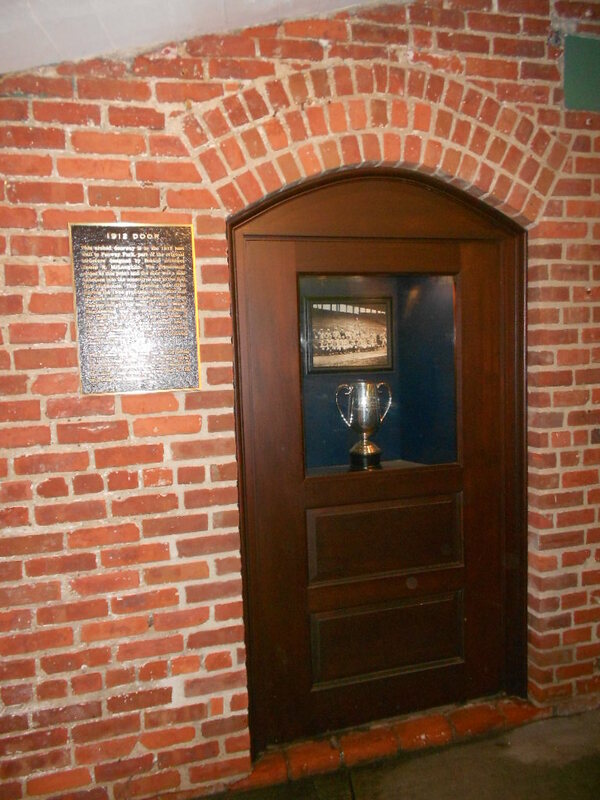 On its outside wall, Fenway has a sign recognizing the Red Sox 1918 World Series victory and then another sign recognizing their victory right after that in 2004. They have shops selling souvenirs and food inside and outside the park. I was surprised how reasonable the prices were. Nachos were $4.50 here. I think in Tropicana Field in Florida, they are like $6.50 or $7.00 or something like that. 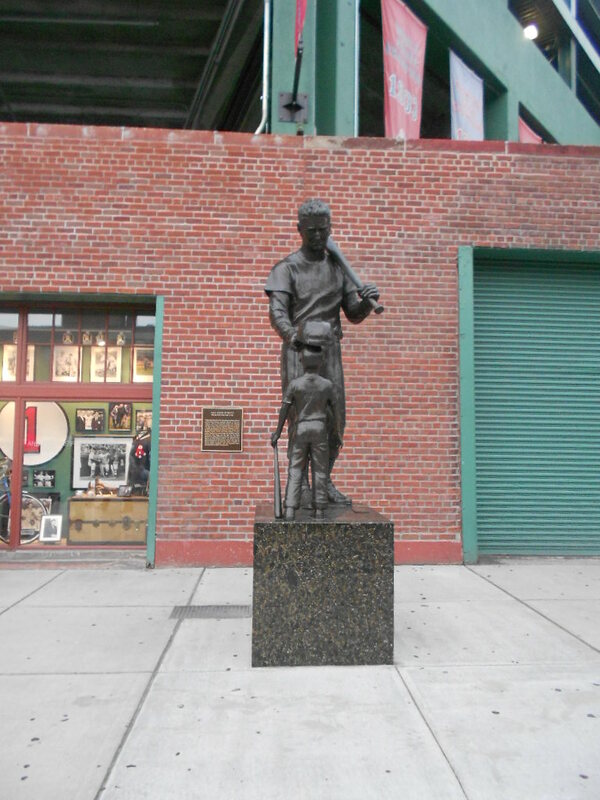 This is a statue of Ted Williams. The park is filled with statues. There is just so much history and tradition here. 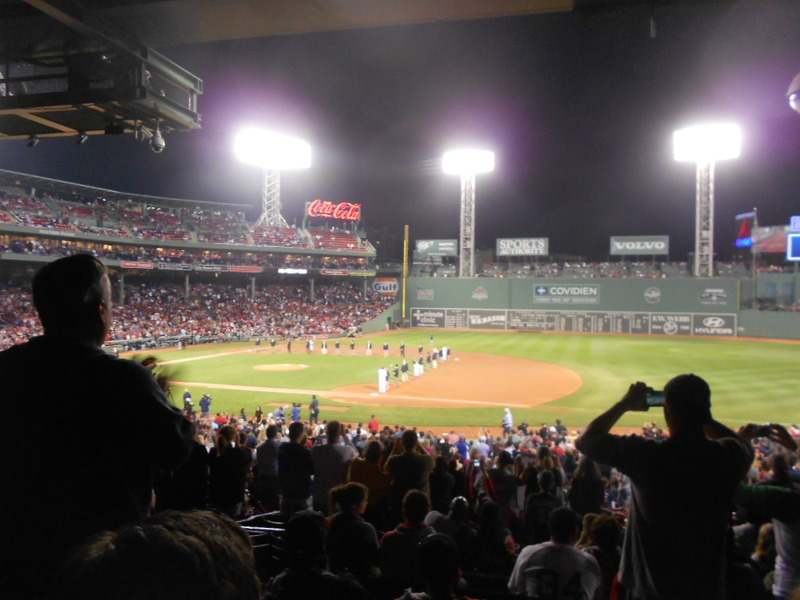 From the green monster, to hearing the crowd sing “Sweet Caroline” (watch the video I made of the crowd singing here.) in the middle of the 8th inning, it was one of the purest and richest baseball experiences I have ever had. 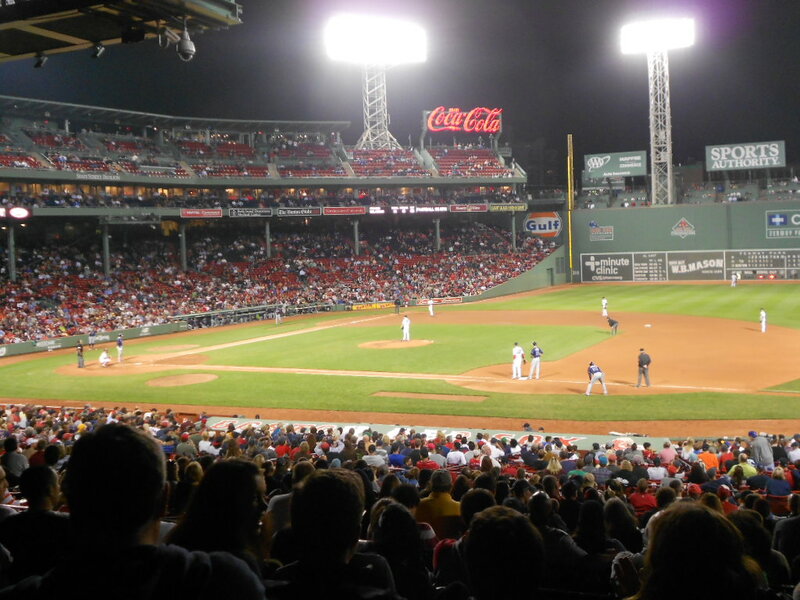 Some may think I am crazy, but Fenway park reminded me of old Engel stadium, where the Chattanooga Lookouts used to play. Again, this is a major league ballpark with a small town, atmosphere that makes you feel at home. The first time I came through the gates, I felt at home and like I had always lived there! A friend told me once I visited Fenway I would be a Red Sox fan. Well almost Pastor Ken, almost. I will have to say. 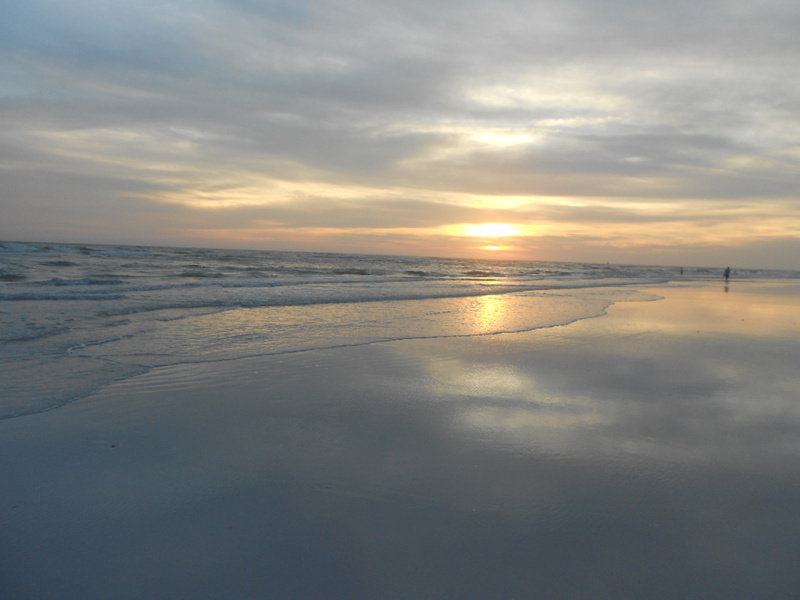 I loved every moment of it! Who is The “Man of Sin?” Could it be you? 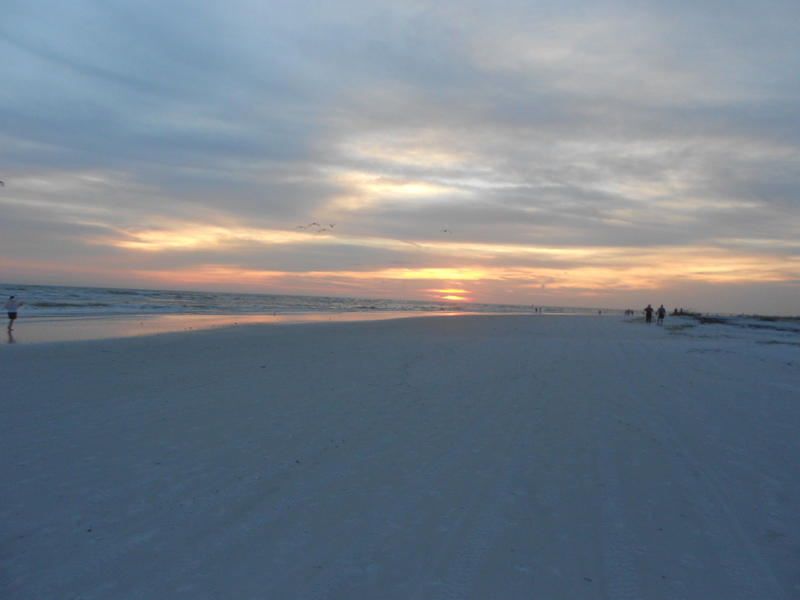 Monday’s section of this week’s SS lesson asks the question, “In what subtle ways are each of us susceptible to having the same kind of attitude as we see revealed here in this “man of sin”? As Adventists, we often think of the anti-Christ as the leader of a system reveled in the book of Revelation. While Revelation does identify a specific leader within a specific system, setting himself up as God, and thus an anti-Christ, John the revelator also tells us in 1 John 2:18, “even now are there many antichrists; whereby we know that it is the last time.” So the Scriptures warn of many anti-Christs. So who are all these anti-Christs? To answer this question, let’s back up a little bit. In studying the three angels message, we see that a so called religious system, Babylon falls. Again we know from studying Revelation that this is a specific system. However, we also see that this system has an attitude. That attitude is legalism. Man- made laws, man- made day of worship, leading to a man -made way of salvation, outside of trusting in the merits of Jesus and His blood. While Revelation pinpoints this system, that fact is clear, that this attitude can be found in other systems as well, and history has proven it has been. Were not the Sadducees and Pharisees making their own laws and trusting their own works for salvation? Yet they were not Babylon. So could it be that if I am not careful to crucify self and die daily, that this same attitude of Babylon could be found in my heart too? So, if it is possible for me to have the attitude of Babylon, would it also be possible for me to have the same attitude as the anti-Christ, thus making me one of many anti-Christs? An anti-Christ is someone who sets himself up as Christ, just as the man of sin mentioned in 2 Thessalonians 2:3-4; “Let no man deceive you by any means: for that day shall not come, except there come a falling away first, and that man of sin be revealed, the son of perdition; Who opposeth and exalteth himself above all that is called God, or that is worshipped; so that he as God sitteth in the temple of God, showing himself that he is God.” Here we see that the man of sin, or anti-Christ sits in the place of God. So how could I possibly be an anti-Christ, sitting in the place of God? Isaiah 33:22 tells us; “For the LORD is our judge, the LORD is our lawgiver.” Our Lord God is our lawgiver and judge. So, when I set myself up as judge of other peoples motives, or think that I can interpret the law for everybody, I am usurping the seat of God and setting myself up as God, and thus becoming an anti-Christ! 2 Timothy 3:16 tells us that the Scriptures are profitable for doctrine and correction. I can only define God’s law by what is in the Scriptures , but not by my personal opinions or traditions, like the Pharisees in Christ’s time, and religious leaders in the dark ages did. I am not the interpreter of the law for the whole world, nor, can I think to change times and laws to meet with my own opinions or inclinations. Simply put, I am not the lawgiver, and cannot judge people by my own standards. Also, while open sin must be dealt with, according to 1 Corinthians 6, as a church we may have to address outward actions, but I as an individual cannot judge inward motives. In judging outward actions we must still be careful. Joseph almost put poor Mary away thinking he had all the evidence of an affair. Even with his overwhelming evidence he was wrong! Even with all his evidence he tried to put her away privately without any public embarrassment. What a great example for us to imitate. Even with his overwhelming evidence, Joseph was not going to judge Mary’s heart. In 1 Corinthians 6, Paul teaches churches, not individuals to judge open and outward actions very carefully. Paul teaches no one to judge the heart and inward motives. 2 Timothy 3:16 tells us God and the Scriptures alone tell us what is right and wrong. I am not the lawgiver or the interpreter of the law for the rest of the world. The Lord our God is our lawgiver and judge. When we judge people according to our own standards, opinions and understanding, we usurp the throne of God and become an anti-Christ.